Hey hey! 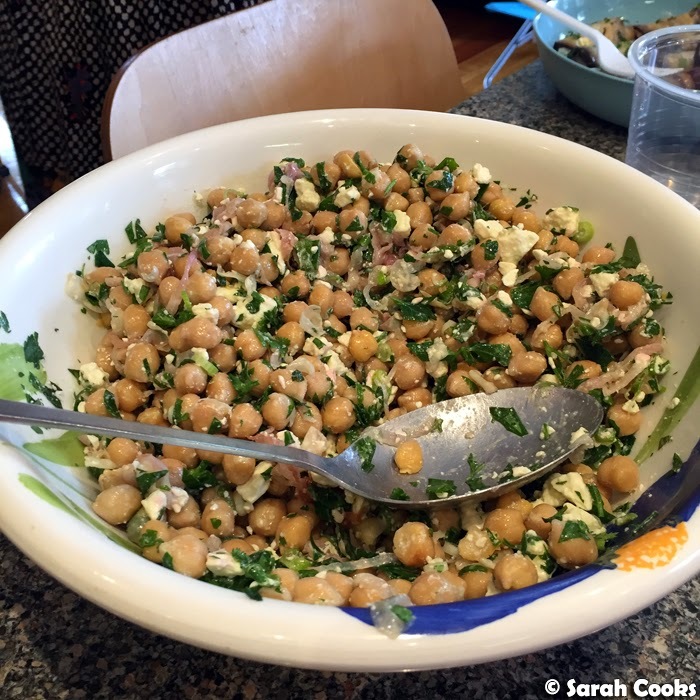 Quick recipe post today! So, these bacon-wrapped dates are a super delicious and impressive snacky canapé-type nibble thing. My friend D-Slam tried something similar at restaurant in Singapore a few months ago, totally loved them, and then recreated them for her housewarming party back in Melbourne. (I ate a rather crazy amount - whoops!) The flavours are quite intense - sweet caramelly dates, salty crisp bacon, oniony chives, buttery pine nuts and garlicky aioli - but the combo is addictive and I've never met anyone who doesn't go crazy for them. They're so good! I finally made them myself on the weekend for a barbecue we hosted on Sunday. They're a little fiddly to make but not difficult at all - I rolled up the dates the night before and stashed them in the fridge, chucking them in the oven when our friends arrived. Boom. The quantities below are quite flexible - you essentially just need enough bacon to cover the amount of dates you have, with some chives, aioli and pine nuts to sprinkle over. I've specified 907 grams of Medjool dates because that's the size of the packet they come in. I found that 200 grams of streaky bacon was just enough to cover the dates, but if the idea of a potential bacon shortage stresses you out, start with a larger amount. You can never have too much bacon. True for this recipe, true for life. Pit the dates using a small sharp knife. Cut the bacon in half lengthwise and in half again crosswise. Place a pitted date on the end of a piece of bacon and roll up. Secure with a toothpick and place on the prepared baking tray. Repeat with the remainder of the dates and bacon. Bake the bacon-wrapped dates for 10-15 minutes, or until the bacon is cooked through and crisp. Meanwhile, toast the pine nuts in a dry frying pan, until golden brown. Place the rolls on a serving platter. 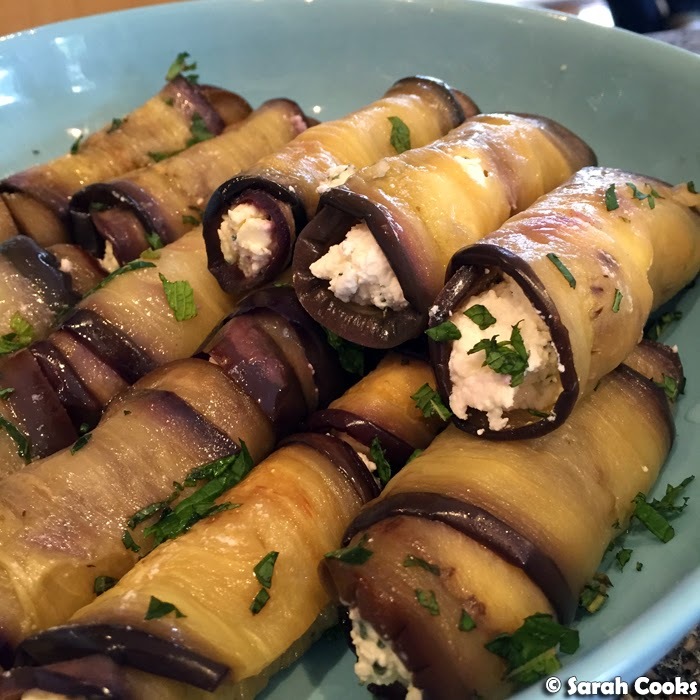 Top each roll with a drizzle of aioli, followed by a generous sprinkling of chopped chives and pine nuts. While we're here, let's have a look at some of the other things we served at the barbecue. It was a pretty big party - we hadn't entertained in ages and felt like going all out! We had about twenty people over on the Sunday arvo, and spent most of Saturday cooking and preparing. Not an easy task the day after my work's Christmas party (ouch! ), but I just managed to push through. I have no idea why I thought that was a good idea! Anyhoo... it ended up being such a fun afternoon: lots of food, lots of friends, and a few rounds of Cards Against Humanity. Best. In all the hustle and bustle, I totally forgot to bring my camera and just snapped a few photos on my phone - looking back I realised I didn't take photos of all the food, but got heaps of our friends. I don't even know who I am any more! In addition to the lamb, we served Bratwurst, chicken sausages, Frikadellen, and some roast ocean trout. We also served a parmesan, spinach and pear salad with maple-glazed walnuts. And dessert! 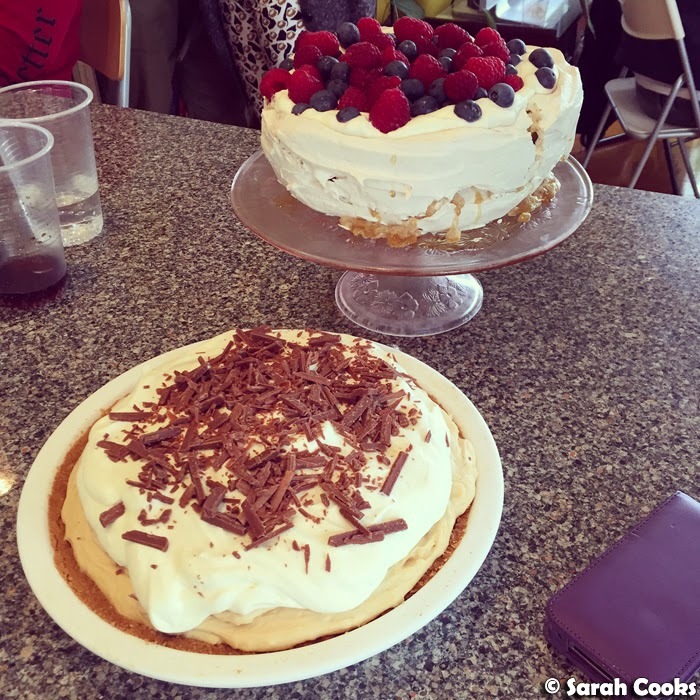 A peanut butter cream pie (ZOMG) by Joy the Baker and a pavlova! The pav turned out a little weepy but it tasted good and it was demolished in no time at all - yay. Omg I want everything! 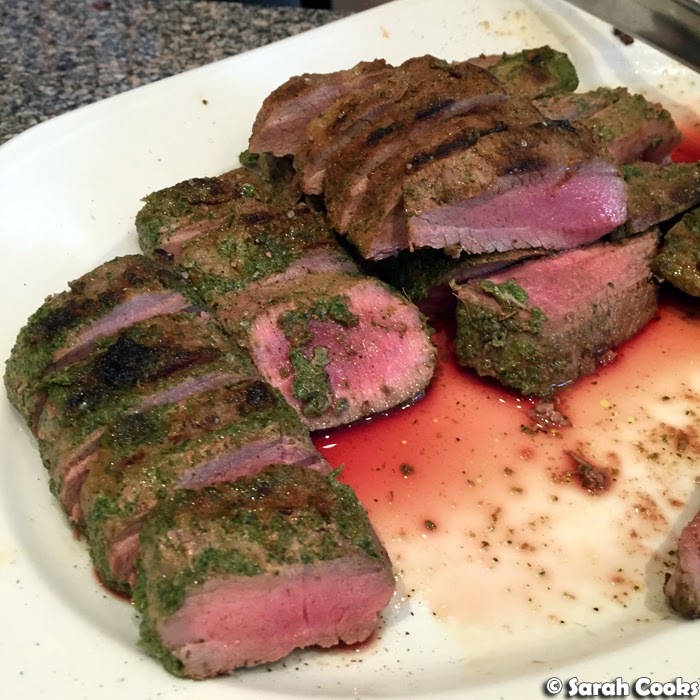 I was lusting after that lamb backstrap and then I saw the peanut butter cream pie! 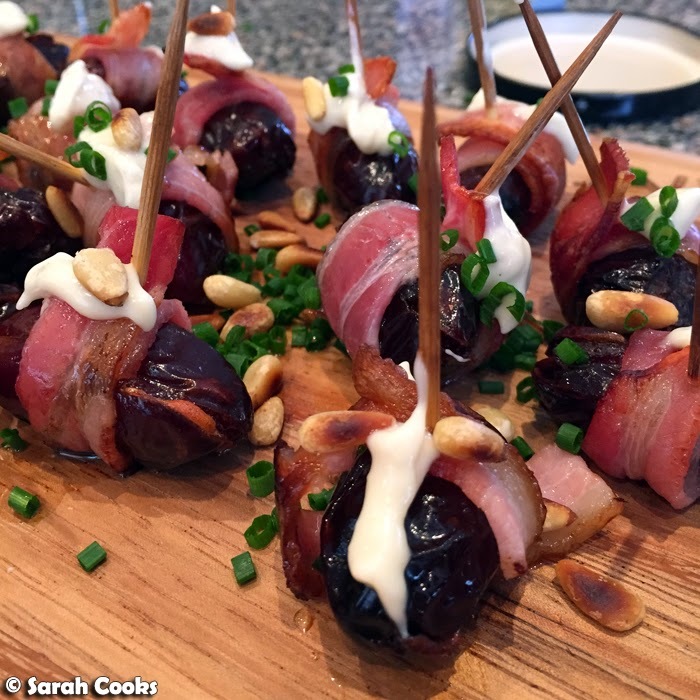 Will have to give the bacon wrapped dates a go too - they look perfectly festive! Yum! They'd be all sorts of delicious sweet and savoury and rich! And everything looks delicious actually! Everything in here is just wonderful and delicious! I love the bacon wrapped and the cream pie! YUM!